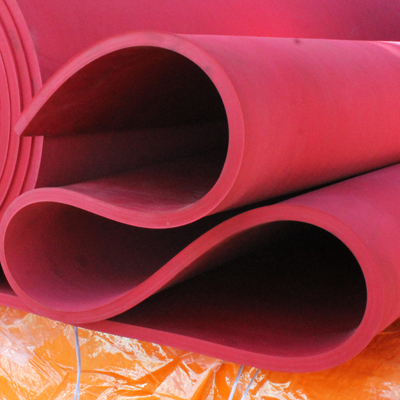 The mining industry requires the use of the best protective rubber lining products. Wenco USA is a business that specializes in the design and manufacturing of high-quality products in the mining industry. Their Wenguard Rubber Lining is one of the many products they offer. This protective rubber lining contains silica-reinforced rubber and protects against high level impact and abrasion. It is also incredibly flexible relative to other forms of hard rubber. Furthermore, Wenguard rubber lining works efficiently in tougher applications while it maintains its natural strength and the nerve of latex. Wenguard is also incredibly resilient while moving materials. It has substantial elasticity and sealing characteristics, giving it the strength needed in the handling of mining materials. Wenco USA has a long history of service in the mining industry, providing quality customer support all over the country. They also take the time to improvise with their products to reach the needs of their clientele. Furthermore, Wenco USA can provide their products at a quality exceeding expectations while also having the ability to make technological changes at any time. At the request of the client, they can make custom designed and engineered products that show significant results and can be used in a multitude of applications. Wenco USA has a reputable team of highly experienced employees designing and manufacturing their mining industry products. This team has many years of combined experience in the mining industry; and furthermore, they have the foresight to change with the constantly shifting market, increasing efficiency in meeting customer needs and demands. Their goal is to create more business opportunities for the company and supply innovative products to a growing clientele. Wenco’s team also monitors their products both on-site and off-site with the goal of finding better ways to improvise with products to increase performance. Companies in need of protective rubber lining products designed for their specific needs should look into Wenco USA’s product line. They have the team and the resources to create the products their clientele needs.